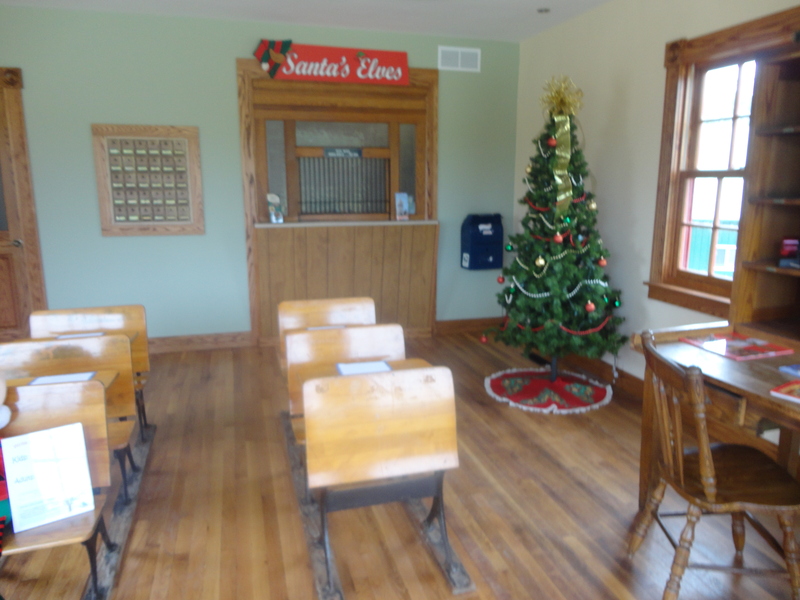 In the small town of Santa Claus Indiana, a wonderful tradition continues today where children can write a letter to Santa, mail it and get back a hand written reply. This is the original post office in Santa Claus, Indiana. Today it sits on the grounds of the Santa Claus, Museum. There are desks with paper ready for a letter to be written and sent. Inside the museum, the volunteer guide told me that they have letters dating back to the mid-1930’s when Santa Claus land, now Holiday World began. While all the children’s letters were touching, the guide said that those that came after 911 were the most touching. Tired of the commercialism and trite traditions? If so, take a minute and think about just what you would write to Santa. Send a letter and see what happens, St. Nick might just write you back!